PORTLAND – One of Maine’s most respected politicians was honored Wednesday night for his leadership in bringing peace to Northern Ireland in the late 1990s. 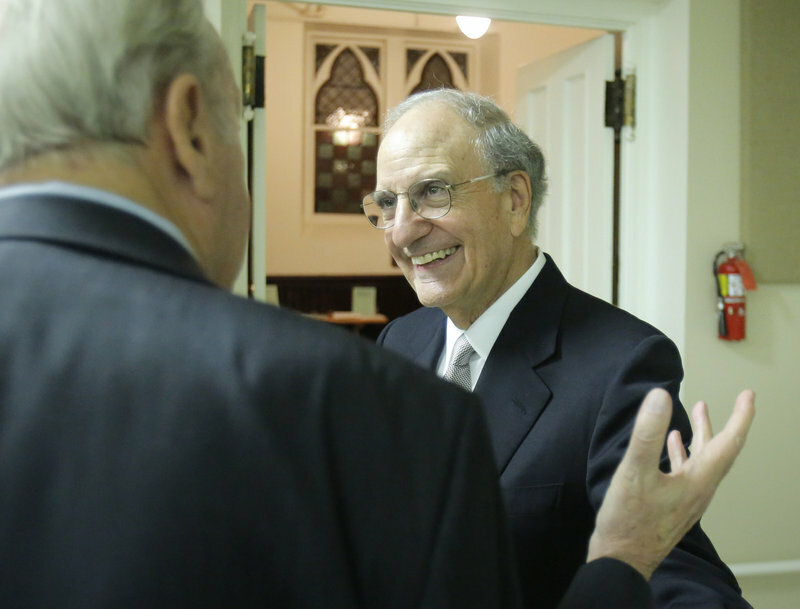 Former U.S. Sen. George Mitchell received the fifth annual Claddagh Award from the Maine Irish Heritage Center. The award is given each year to a Mainer of Irish heritage who has devoted his or her life to serving the community. Mitchell, 79, no longer lives in Maine but has family members who do. He grew up in Waterville, the son of an Irish immigrant father and a Lebanese mother. He returned to Northern Ireland in March with his 14-year-old son, Andrew, 14 years after the signing of the Good Friday Agreement, which ended years of sectarian fighting. Mitchell’s visit was filmed by a BBC crew, which produced a documentary about how life has changed in Northern Ireland since the agreement was signed. Excerpts were shown Wednesday night. “Many people’s lives have been saved as a consequence (of the Agreement) and that means a lot to me,” Mitchell told the audience of about 300 people. Former Govs. Joseph Brennan and John Baladacci attended the dinner and award ceremony at the Maine Irish Heritage Center, as did U.S. Rep. Chellie Pingree. “He is profoundly loved and admired,” said state Sen. Margaret Craven of Lewiston. Joao Vale de Almeida of Portugal, the European Union’s Ambassador to the United States, came to Portland to help honor Mitchell.